Hidden Mickey: Sometimes Dead Men Do Tell Tales! What would you do if you found Walt Disney’s long-lost diary hidden somewhere in Disneyland? What if it gave a cryptic clue and hinted at a treasure that only those who followed the clue – and the ones to come – could find? Would you drop what you were doing and immediately get to work? Would you put your life on hold as you got deeper into the mystery that the Master Storyteller had put into place over 40 years earlier? What if your friendships were put to the test, possibly strained to the breaking point? These are the dilemmas facing the heroes of the first novel: Hidden Mickey: Sometimes Dead Men DO Tell Tales! While on a group road rally at Disneyland, Adam and Lance stumble upon Walt’s diary hidden somewhere inside Walt’s apartment over the Fire Station on Main Street. What they do next is the start of a fun-filled, elaborate chase as they track down the clues Walt himself had put into place so many years ago. Adam, Lance, and, later, Adam’s ex-girlfriend Beth, find themselves face-to-face with condemned buildings, privately-owned property, a missing Studio, glassed-in displays at Disneyland, and darkened warehouses. Adam, the moral compass, points out that what they are doing would be considered “breaking and entering.” Lance, who brushes caution aside with a flick of his hand, suggests to Adam that, “since they didn’t break anything, wouldn’t it just be termed ‘entering’?” Perhaps it will take the family of lawyers behind Lance to get them out of trouble. Too bad he isn’t on speaking terms with any of them…. And Beth, her heart still broken after five long years, with her vast Disney knowledge, struggles to help in any way she can without further damage to her fragile feelings. Can bridges be mended after so many years? What about you? Do you know a lot about Walt’s history? I designed the story so that many of the chapters end with the next clue. If you want to make Hidden Mickey: Sometimes Dead Men DO Tell Tales! more of a challenge, see if you can figure out where Adam, Lance, and Beth need to go next before you turn the page. The places they visit are right out of Walt’s life. Through flashbacks, you will even meet Walt himself as he either puts the clue into place, or visits at some point in his life. This way Walt can be the hero of his own story! I hope you will come along with Adam, Lance, and Beth on this fascinating journey and come to see the Happiest Place on Earth in a whole new light! 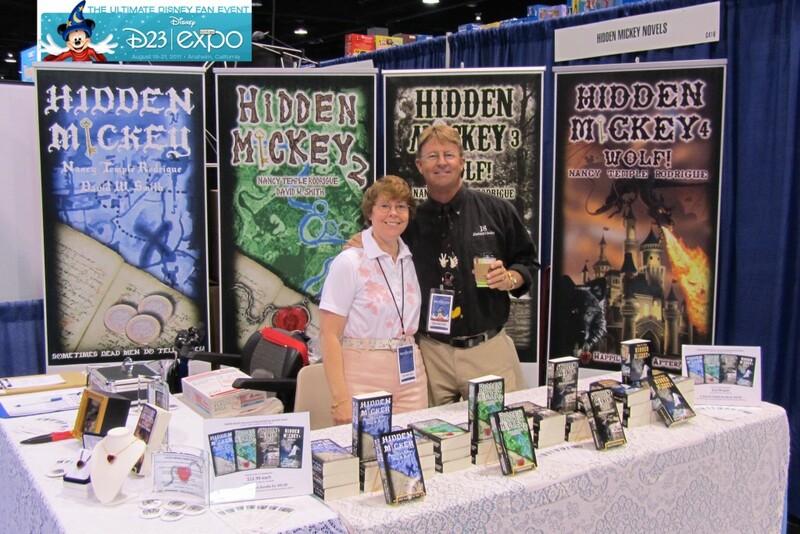 All the Hidden Mickey and Hidden Mickey Adventures novels can be found at Amazon.com, Barnes Noble, and my own web site at HiddenMickeyBook.com.